Find funding for your charity, community group or social enterprise using this free online search engine. From small grants to funding for big capital projects, you can track down the funding you need to make a difference in your community. 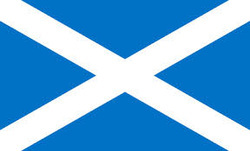 There are over 800 records of funds which help Scottish projects. Caledonian Master Gardener The Caledonian Master Gardener Programme is an innovative training and accreditation programme for Scottish gardeners with an interest and commitment to the promotion of gardening skills and horticultural knowledge through volunteering. You may be aware that annual fees for Council allotments have doubled over the last five years from £50 to the current level of £100 for a full plot after FEDAGA agreed a strategy with the City of Edinburgh Council to increase rents in order that allotment provision be improved. The Allotment Service now pays its way and is no longer subsidised. The Council now have their eye on allotments as a source of extra revenue in the years to come. 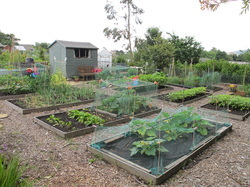 Currently the total annual rental collected from all Council allotments across the city is £80,355. Most of this is used to pay for the allotment service and maintain existing sites. 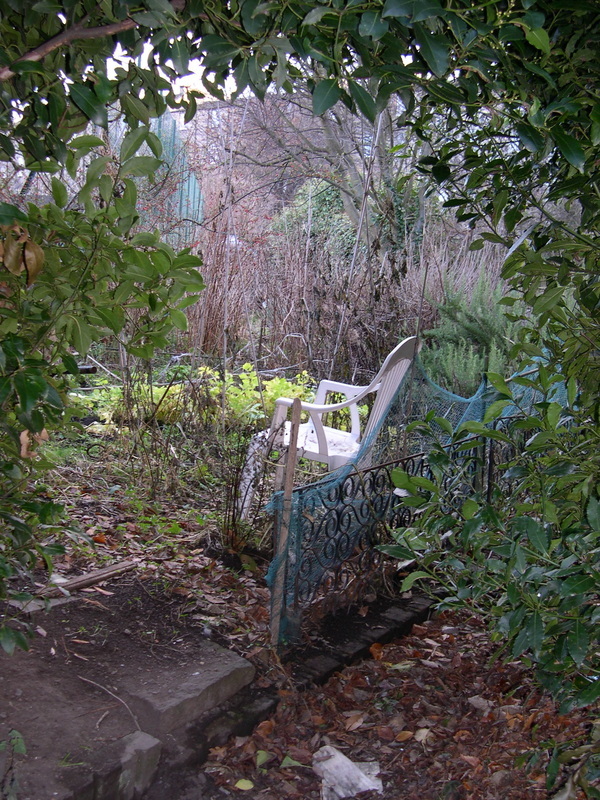 The Council are proposing to increase their income from allotments by £150,000. Put simply - allotments are to become a method of revenue generation. Please take time to read page 81 of their budget proposal (or look at the text reproduced below). You are invited to make your own comments directly to the Council. Do bear in mind that the additional money collected will NOT be spent on allotments. The level of service we get from the Allotment Service will at best remain the same - or get worse as any goodwill to self-manage our own sites evaporates. FEDAGA will be making representations to the Council and will be asking for your support in the months to come so we don't end up with the highest rents in the UK. In the meantime, if anyone has any legal experience with unfair rent increases like this please get in touch. Increase allotment charges to generate additional income of £150,000 per annum. The proposal could also revisit the existing discount regime. Potential impact on service outcomes and any mitigating actions proposed. This should take into account, where applicable, relevant strategic, service plan or community planning outcomes. 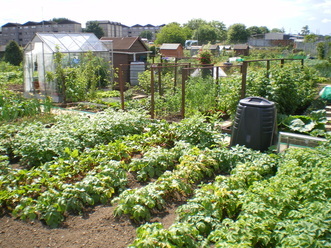 The Council has 29 allotment sites, which have a total of 1,429 plots. There is currently a waiting list of 2,730 people, and the waiting time for a plot is up to 9 years for the most popular sites. The waiting list is growing at a rate of an average 348 people per year. Currently the annual rental for a plot is £100. Some plots are half-size, for which £50 per year is charged. Discounts of 50% are offered to disabled, elderly and those in receipt of benefits. Therefore to raise an additional £150,000 will require an average increase of £105 per plot/half plot. However, if concessions are to be retained at existing proportions then the full rental rate would need to be nearly £300 per plot. 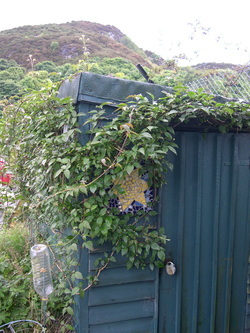 The City of Edinburgh Council has recently received some enquires regarding asbestos on allotments. To help answer some general questions we have produced this guidance document with advice on identifying, health risks and what you can do if you find or suspect asbestos is on your allotment. Asbestos was once a common building material and has found its way onto some allotments, which may or may not be present on your allotment. The kind of asbestos that you are most likely to find on an allotment is asbestos cement (pictured). Asbestos cement is a mixture of asbestos (usually about 10-15% by weight) which is bound in portland cement or calcium silicate. The majority of asbestos cement products contain only chrysotile (white) asbestos. Uncoated sheets can be identified as light grey/white in colour, hard and inflexible.Asbestos cement was used by the construction industry from the 1950s to November 1999 products include: profile/corrugated sheets, moulded products and flat compressed sheets. They are used for: roofing & roofing components (ridges & ventilation), gutters, flue pipes, wall cladding, soffits & fascia boards, water tanks, fencing/plot boundaries, propagation beds, manure bins, and window/flower boxes. The above indication of asbestos cement products and their uses is not exhaustive. Why is asbestos a health risk? It is when asbestos fibres are breathed into the lungs that it presents a risk of developing serious or even fatal diseases such as lung cancer, mesothelioma and asbestosis. This is why asbestos materials and waste has to be dealt with so carefully. 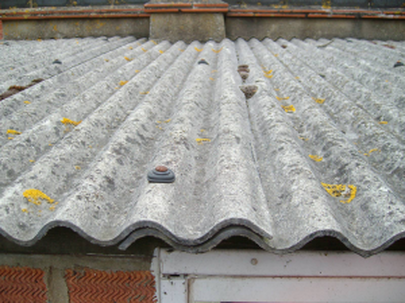 Asbestos cement is often regarded as being lower risk than other forms of asbestos as the fibres are bonded into the cement and are not easily released. However you will be at risk if you wire brush, sand, drill, saw, cut or otherwise damage asbestos cement products. What should I do if I find or suspect asbestos on my allotment? If you suspect there is asbestos cement materials on your allotment and the materials are in good condition, not likely to become damaged, then it is safe to leave them as they are. Asbestos cement is very durable and the materials only present a risk of releasing fibres if they are damaged. However if the materials are in poor condition or you have discovered fly tipped asbestos waste on your plot then please contact the Allotments Officer. Asbestos cement is sometimes found as fragments buried in the soil. To make asbestos cement found in soil safe, first thoroughly wet it using a watering can; then put the pieces in a stout plastic bag (a builders rubble sack is fine), place this bag in a second, seal and label the bag and leave it in a place on your plot where it will not be disturbed by you or anyone else. Then contact the Allotment Officer giving your site name, your plot number and the location of the bagged asbestos. Only asbestos cement can be handled by the public. If you find or suspect any other form of asbestos may be present do not try to deal with it yourself. If you are in any doubt contact the Allotment Officer. Asbestos waste should never be brought onto allotments and should never be mixed with household or other waste. 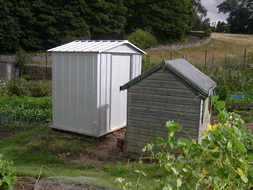 If a skip or other waste removal service is provided at your allotment asbestos should not be put in these facilities. Do not bury asbestos or move it from your plot. 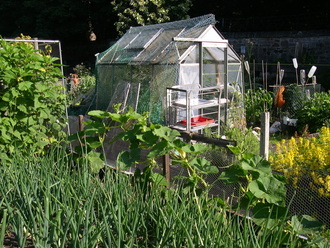 Allotment Officer: Ian Woolard, Inverleith Farm House, 5 Arboretum Place, Edinburgh, EH3 5NY. "People like to know where their food comes from. More and more people want to grow their own food. 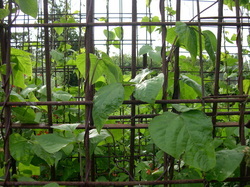 Growing food and working with the environment are healthy and fun things to do. "It would be good for communities if they had more space for gardening and growing plants. A good way of doing this is to make allotments. 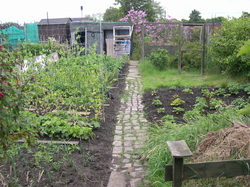 Allotments are small areas of land that people can rent from local councils to grow their own food. The current law on allotments is old and hard to understand. People were asked about their views on this law in 2013. 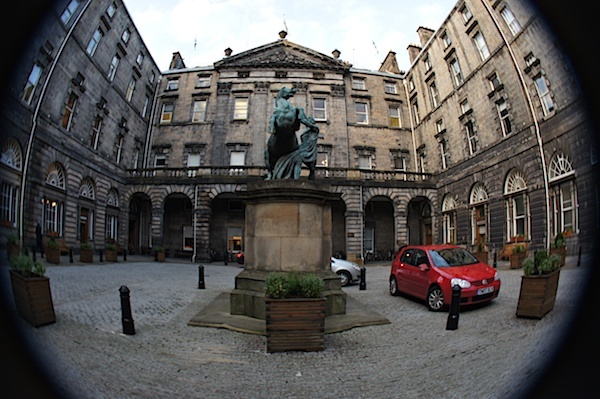 The answers helped the Scottish Government shape what the new law should be. It was decided that a new law would be written instead of trying to change the old one. "The new law will make local councils keep a waiting list for allotments. 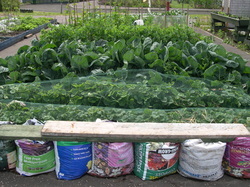 Local councils will also have to try to provide more allotments if too many people are on the waiting list. Local councils will have to get permission from the Scottish Government before they can sell or change the use of land used for allotments. Local councils will also have to publish an allotments report every year. They will have to say what their plans are to let people grow their own food. They will also have to make clear what people can or cannot do on their allotment." Is this Britain's classiest allotment? 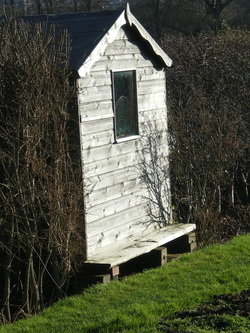 A listed shed, tended by professors, manured by pandas...? Rona Wilkinson grew up on her parents' allotment. Her career in renewable energy and community development covers land usage, social and economic issues and working with communities at home and abroad. 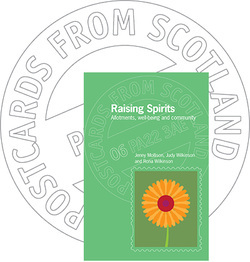 Publication date: September 2014 - Postcards from Scotland website. Do you know your Broken-belted from your Gypsy cuckoo? Bumblebee enthusiasts are being asked to take part in the most high-tech survey of the species ever carried out in the UK. Photos of bumblebees are identified using a ground-breaking online ‘crowdsourcing’ technique - where a positive ID is reached when several members of the public allocate it to the same species. More than 9,000 photos have already been submitted as part of the BeeWatch project which is coordinated by the University of Aberdeen’s dot.rural team and the Bumblebee Conservation Trust (BBCT). Those behind the survey are calling for more volunteers to send in and identify photos and have made it easier than ever before with the launch of a new online training tool which teaches novices how to identify bumblebees. The online training tool will allow volunteers to gain confidence in bumblebee identification, encouraging them to take part in valuable crowdsourcing. “This will allow far more pictures of bumblebees to be identified, and thus create a far clearer picture of the distribution of bumblebee populations in the UK,” adds Dr van der Wal. The BeeWatch project was prompted by the decline of the country’s bumblebee species as a result of habitat loss and changes in agricultural practices. As pollinators of crops and wildflowers, bumblebees are crucial to the country’s ecosystems. The BeeWatch scheme will help address the lack of information about which bumblebee species occur where and how this may be changing over time. Anyone can register to help identify the bumblebees by signing up to the BeeWatch website. A bumblebee is officially identified once a sufficient number of volunteers have identified it as the same species. If there is disagreement, the image is checked by a bumblebee expert. So far this process has been extremely accurate. Users who submit a photograph receive automated feedback once their bumblebee has been categorised, along with additional information about the species in the wider context of the UK, such as how common it is and where it is usually found. They are also encouraged to try their hand at identifying other users’ submissions. The survey has also revealed information that supports a recent study by the University of London regarding the rise in populations of the Tree bumblebee. A species unseen in the British Isles until 2001, the BeeWatch survey has confirmed it is now one of the most common in the country. Dr Richard Comont, Data Monitoring Officer for BBCT adds: “The Tree bumblebee came to UK shores from France in 2001, and our BeeWatch results so far show that it’s now the third most commonly-seen species of bumblebee in the country. At the moment the population is greatest in the south but the first sightings from Scotland have started to come in over the last year or so. Courtesy of the Bumblebee Conservation Trust's website. 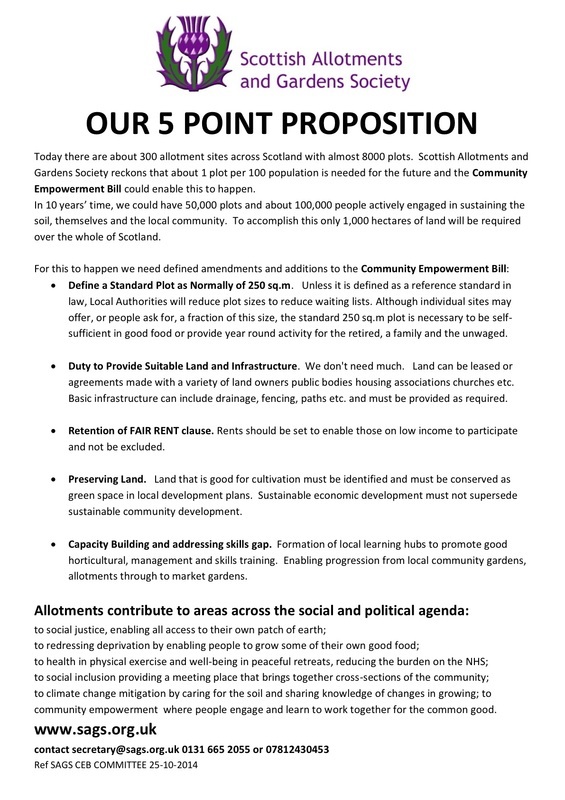 THE COMMUNITY EMPOWERMENT (SCOTLAND) BILL has been published and can be found on the Parliament’s website along with the accompanying documents: the Policy Memorandum, Explanatory Notes and Delegated Powers Memorandum. It looks excellent as a framework upon which local authorities can create their own rules for allotments. A quick read over Section 7 has revealed the following points of interest to allotment holders (and aspirant allotment holders). Our comments in italics. - Each local authority must take reasonable steps to ensure that the number of persons entered in the list maintained...(i.e .the waiting list for allotments) is no more than one half of the total number of allotments owned and leased by the authority. - A local authority may not dispose of the allotment site or change the use of the allotment site without the consent of the Scottish Ministers. - As soon as reasonably practicable after the end of each reporting year, each local authority must prepare and publish an annual allotments report for its area. Basically the number of Allotments, the size of the waiting list, reasons for not meeting demand, eg. financial. 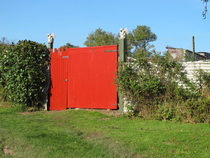 A person who represents the interests of the tenants of each allotment on an allotment site may make a request to the local authority that owns or leases the site that the authority delegate to the person any of the authority’s functions mentioned in subsection 40 (2) in relation to the allotment site. Waiting list included. Plots handed back in a poor condition... The tenant is liable to pay compensation for the deterioration to the local authority. It is good to see allotments being treated with such importance by the Scottish Government - well done SAGS and everyone else that contributed. The Scottish Government goes on to confirm that the Analysis Report and Social Research findings on the responses to the second consultation have been published today and can be found here. This link also directs you to all historical documents relating to the Bill. 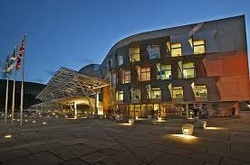 The Scottish Government news release relating to the Bill can be found here. Finally, you may be interested to learn that the Scottish Community Development Centre has launched a new website for communities, funded by the Scottish Government. The website aims to puts communities in the spotlight by connecting people and sharing ideas. Soils under Britain's allotments are significantly healthier than intensively farmed soils, researchers have found. The study shows that by growing at small-scale in urban areas, it is possible to produce food sustainably without damaging the soil. Working in Leicester, ecologist Dr Jill Edmondson from the University of Sheffield took soil samples from 27 plots on 15 allotment sites across the city. She also sampled soils from local parks, gardens and surrounding agricultural land. As well as being good news for urban soils, the results underline the value of allotments. "An estimated 800 million city dwellers across the world participate in urban food production, which makes a vital contribution to food security. Our results suggest that in order to protect our soils, planning and policy making should promote urban own-growing rather than further intensification of conventional agriculture as a more sustainable way of meeting increasing food demand" Dr Jill Edmondson says. Source: Greenspace Scotland. Find out more. STILL STUCK ON THE WAITING LIST? NOT EVEN APPLIED BECAUSE IT'S SO LONG YOU DOUBT YOU'LL EVER BE OFFERED A PLOT? Community gardening information here and garden share information here.